The current smartwatch and fitness device space is stagnant. The offerings and the devices are a commoditized mess with companies competing for the same consumers – with the same features. There must be more available from these devices than just tracking steps, miles walked, sleep and general activity, right? Most of these devices, like Jawbone’s Up and Fitbit, have a closed sensor system; however, opening these sensors to third-party developers holds enormous potential. We’re just now beginning to see the glimmer of the benefits as some of the major electronics manufacturers like Microsoft and Samsung enter the space. The new sensors on smartwatches and fitness bands will enable insight into a user’s heart rate, VO2 max, sympathetic nervous response, blood glucose level, EKG, temperature and more. We’re moving into a world where people will be wearing always-on body-monitoring systems. We’re standing at a frontier where we’re pulling laboratory science outside of the laboratory and creating a deluge of new data about human biometrics never before available. This data fosters new insights and the development of new ecosystems allowing understanding of customers at a much more granular level and the ability to offer them new services. It started with time – arguably the sensor most taken for granted. With a timestamp we know “when” our users are writing us, using us and interacting. Then GPS enabled “where,” permitting application companies to understand when and where a user was interacting. Applications and features that were built only off of GPS changed travel and advertising forever. The fingerprint sensor is helping us understand “who,” and companies are now also learning “what” users are doing. Now that we know who, what, when and where users are, the next evolution of sensor data that’s extremely exciting is “how.” How are users doing? How are they feeling? Forget glance-ability and notifications. Forget NFC and payments. The most interesting part of these new devices isn’t the front, but rather the back where the sensors are located. This is where the new health and fitness devices will change the world. We think of these devices as health monitors, but what if I turned them on while you were watching Netflix? What if I turned them on when you crossed a geo fence into a Starbucks? What if I monitored your biometric responses while you’re on Facebook looking at different profiles? 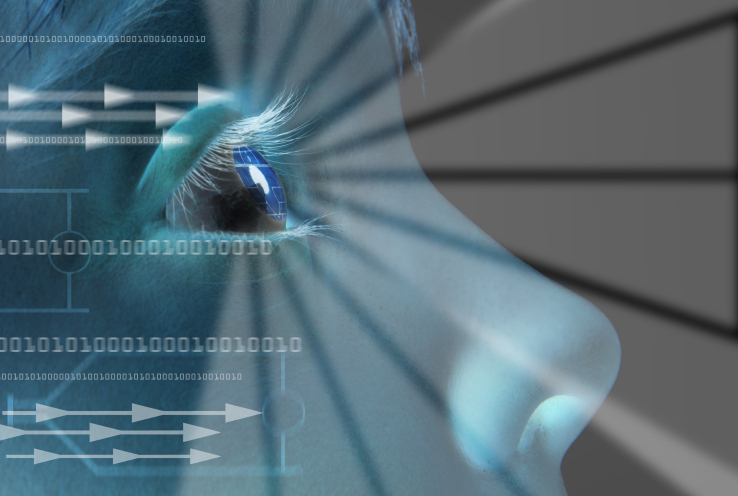 This opens up a completely new field of biometric insight related to applications, experiences, entertainment and more. We’ll be able to provide levels of biometric awareness to our applications, our developers and our friends. This enables powerful levels of emotional acuity and intervention, and it will affect everything we do, from entertainment to general consumption to dating. I refer to this as biometric marketing or emotional marketing. Imagine a world where entertainment choices are built around your emotional preference, where you would know before going into a movie or watching a TV show if it fit the pattern for your emotional preference. Movie studios still use pen and paper responses from test audiences, but imagine if no one cared what a critic said because they knew how they felt. Imagine a gaming world where Zynga has direct access to your emotional response to a specific stimulus. They could now create the perfect skinner-box experience with perfectly random reward schedules on a per-user, per-emotional state basis. Daily interaction with others becomes much more interesting if we begin to allow others to know how we’re feeling. Imagine that OKCupid leverages biometric profiling to align similar emotional response patterns. Or imagine going on a date where both parties agree to share their biometric data after the date. You’d be able to read their arousal profile and understand that they weren’t as into you as you were into them – all without an awkward phone call. Everyday consumption changes, as well. Every store you walk into would be able to monitor your emotional state on a per-store, per-employee, per-interaction level. They may be able to determine peak stress hours and adjust their service accordingly. One of the largest and most impacted segments will be advertising. Companies will no longer be bidding on Jennifer, but instead on Happy Jennifer or Sad Jennifer or whatever emotional state aligns best with their product offering. It feels predatory, and it is. It’s advertising’s job to take advantage of us. However, we’ll evolve ways of combating it, called emotional fences. Applications and user-centric, emotional defense companies will emerge that let users build emotional fences around themselves during what they perceive as vulnerable states. If you’re angry or if you’ve had a terrible day, maybe you’re not “in the mood” to have a happy advertisement shoved down your throat. The emotional fence will block these unwanted ads. This emotional fencing works for both parties. Think about an extremely frustrating day that you’ve recently had, and then think about all of the advertising that fills that day. If Procter & Gamble has a new Tide ad featuring happy families, smiling children and upbeat music, this ad won’t likely resonate well with consumers in a sad or depressed state. This emotional fencing would permit brands to shield themselves from wasted advertisements for key demographics that aren’t in the proper mental state to accept them. This is a new frontier of data. We’ll be delving into insights never before possible with every heartbeat and every sympathetic response, contributing data to new correlations and building a higher resolution of not only human health, but also human behavior and biological response. Depending on what report you read, as many as 285 million fitness devices will be on human bodies by 2018, with a 40 percent CAGR. Smartwatch sales are predicted to grow from 1 million devices in 2013 to 92 million devices in 2018. It’s not a matter of if this will happen, but when. Many companies are already opening up their sensor sets so that developers can begin to access this never-before-seen biological data. With this access, the current state of commoditized wearables is about to change in a big way. We should expect more from our devices than just tracking our steps and sleep. It’s been a slow start, but we’re standing at the precipice, cracking the door into biometric marketing and creating a new realm of opportunities and insights. Who knows? A year from now, I may be able to tell not only that you read this article, but also how you felt reading it. Editor’s note: Cavan Canavan is a co-founder of the motion tracking technology company FocusMotion.